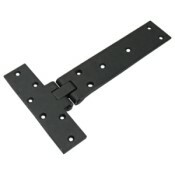 A heavy pattern strap hinge specifically designed for hinged flaps in the floor such as cellar flaps and outward opening trap doors etc. The double jointed knuckle allows for fully flush fitting with no trip hazards and for flaps to be opened a full 180° if required. Forming part of our Wealdon Black Iron range this hinge is manufactured in Britain using traditional casting techniques and finished in Birlin Black for a truly authentic look and feel. 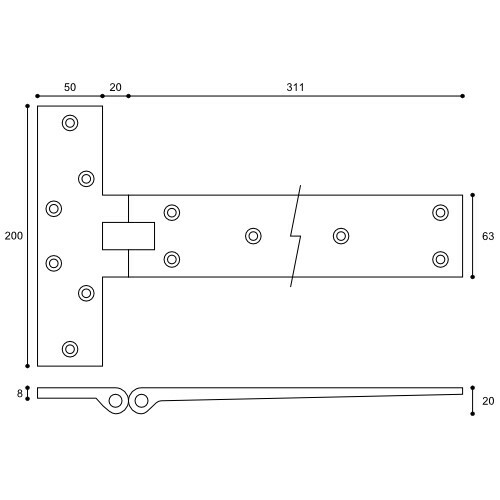 Two hinges (one pair) only - screws not supplied. 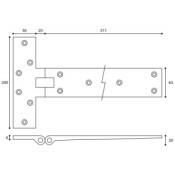 These cellar flap hinges are a non stock item and normally need to be ordered in from the manufacturer. You should therefore allow approximately 7 to 10 days for despatch.